The MIT Chapel was designed by famed architect Eero Saarinen and dedicated in May 1955 alongside Saarinen’s Kresge Auditorium. 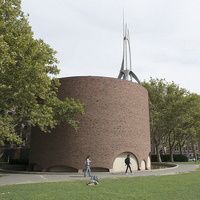 The cylindrical building’s unique and graceful design was intended to meet the needs of all faiths and continues to serve as a place for worship for a diverse MIT community. 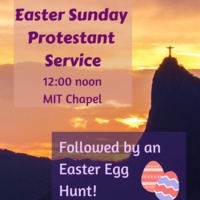 The MIT Chapel is open seven days a week from 7 am to 11 pm. When nothing is scheduled during those times, it is open to members of the MIT Community for private meditation. As a presenter/reader, I was impressed and felt well cared for. Love the chapel. Thanks for everything! The Meridian Singers, Michael Barrett, Director, delivered a program of Part-songs on the themes of love and nature. As always the Meridians voices were beautiful. The MIT Chapel is the perfect venue for their singing. I look forward to the Meridian's Spring concert, projected to be in May. Fantastic organization. The divinity of the lord and very warm and welcoming team. I am happy!